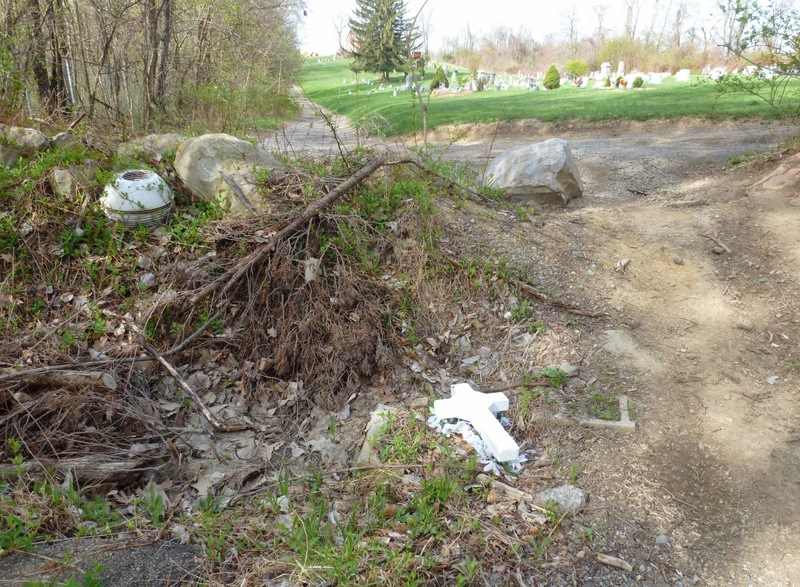 There isn't any running water at the nearly forgotten Mount Zion Church or its cemetery in Nottingham Township, Pa., requiring mourners to bring their own to plant and refresh flowers on graves. The property along Cracker Jack Road doesn't even have a trash can, leaving the wind or human hand to toss to the side artificial graveyard decorations. Visitors, including those who were not invited here, have also left behind beer cans and bottles, car tires and a lot of other trash in the weeds and bushes that hug the property. And just a few hundred feet away a newer illegal garbage dump holds a mattress among other ugly things that spoil the landscape. This is how we live in rural southwestern Pennsylvania.